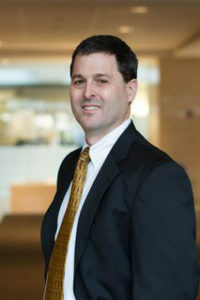 David A. Hyman, MD, JD, focuses his research and writing on the regulation and financing of health care. He teaches or has taught health care regulation, civil procedure, insurance, medical malpractice, law &economics, professional responsibility, and tax policy. David A. Hyman, Bernard S. Black & Joshua Y. Lerner, Physicians with Multiple Paid Medical Malpractice Claims: Are They Outliers or Just Unlucky?, Intl. Rev. L. & Econ. (forthcoming). David A. Hyman, Charles Silver & Bernard S. Black, Fictions and Facts: Medical Malpractice Litigation, Physician Supply, and Health Care Spending in Texas Before and After HB4 (working paper). David A. Hyman, Mohammad Rahmati, Bernard Black, Jing Liu & Charles Silver, Screening Plaintiffs and Selecting Defendants in Medical Malpractice Litigation: Evidence from Illinois and Indiana, 15 J. Empirical Legal Stud. 41-79 (2018). David A. Hyman, Nonprofit and For-Profit Enterprise in Health Care: Birds of a Feather?, in Unprofitable Schooling: Examining Causes of, and Fixes For, America’s Broken Ivory Tower 251-268 (Todd J. Zywicki & Neal P. McCluskey eds., Wash., D.C.: Cato Institute 2019). David A. Hyman & Charles Silver, Medical Malpractice Litigation, Entry, in Oxford Research Encyclopedia of Economics and Finance (Jonathan H. Hamilton, Avinash Dixit, Sebastian Edwards & Kenneth Judd eds., Oxford University Press 2019). "Surprise, It’s a Huge Medical Bill!" coverage by the National Review, March 21, 2019, citing a paper by Professor David Hyman. "More Government Vs. Less Government in Higher Education," coverage by Accuracy in Academia, March 15, 2019, coverage Professor David Hyman. "Hospitals don't want cost debate to creep into surprise billing legislation," coverage by Modern Healthcare, February 25, 2019, mentioning Professor David Hyman. “Solving America’s Drug Pricing Problem: Session II: Pharmaceutical Competition and Innovation,” coverage by Georgia State University, February 14, 2019, quoting Professor David Hyman.